Crazy times give rise to crazy notions, e.g., that socialism's the ticket for modern America. Well, you know, maybe not socialism of the sort that lighted Vladimir Lenin's cruel eyes. Certainly not socialism in a systematic way, each economic piston rising or falling in response to signals from the central government. Bernie Sanders, the senior senator from Vermont -- who, by the way, would sound less like your tennis partner and more like a national panjandrum if he went back to being "Bernard" -- calls his brand of socialism "democratic," thus friendly to human values. Socialism 2019-style is less a program than a policy grab bag, generally presented as compatible with capitalism. The incomprehensibly renowned Alexandria Ocasio-Cortez tells Chuck Todd of NBC that she and her followers "believe in the American dream, not the socialist nightmare." Socialism comes into the picture when you translate specific policies -- say, "Medicare for All" or the breakup of the tech companies, a la Elizabeth Warren -- into economic terms. You find freedom isn't the big consideration here. Power is -- making people do as the wielder of power has determined they should do. For some reason, the idea of empowering government even more than it's presently empowered appeals -- in the abstract, at least -- to younger voters. One lure is Donald Trump's what you might call capitalist belligerence. Lurching from one extreme to another isn't particularly wise, but we might reflect that there's nothing new here. Nothing. The farmers used to think government control of the railroads would ease their plights. Many a Democrat in the late 19th century cried out for the free and unlimited coinage of silver at the ratio of 16 to 1. "You shall not crucify mankind upon a cross of gold," William Jennings Bryan proclaimed to general excitement. Henry George advocated a single tax on land. Someone, in other words, always has an idea for channeling economic forces in a particular direction, adoption of which idea would fix everything! The current mania -- if we are to call it that -- for Sanderian or Warrenite measures of economic intervention -- owes more to President Trump and his full-throated enjoyment of executive power than it owes to rational analysis. The point can't be that socialist policies ever worked anywhere, inasmuch as such policies -- see Venezuela -- never have worked anywhere. The point is to rally the anti-Trump left through use of a catchphrase capable of various reasonable-sounding interpretations: We're not talking Leninism, folks. We just want everyone to enjoy what our geezers already enjoy in terms of Medicare (after decades of paying taxes and waiting on benefits). "Medicare for All" makes a good war cry, but even the biggest wars eventually end, and their costs must be reckoned up. No "Medicare for All" proponent has ever explained how to achieve this shimmering goal without bankrupting the middle classes. As Margaret Thatcher helpfully explained not so long ago, socialists always run out of other people's money. The New York Times, in its own helpful way, notes that numerous Democrats are agog and aghast at the prospect of a running a hard-left national campaign next year -- a campaign overflowing with plans for universal health coverage and free college and the extinction of fossil fuels. Moderates might be turned off by such effrontery, the thinking goes. No kidding. That could be because there lives on among us, somehow or other, a deep skepticism about wild and woolly stuff like free silver and even laissez-faire economics, as distinguished from successfully practiced free-market capitalism. 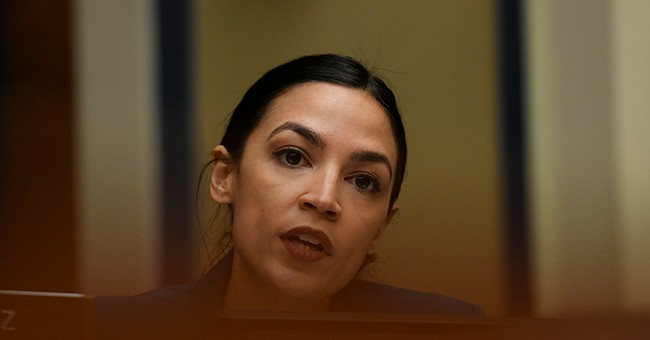 No wonder the word, the accusation, "socialism," has been flowing freely from Donald Trump's lips as he lashes the Democratic field of prospective candidates. No Leninist is Bernard Sanders, no hanging judge ready to sentence Wall Street. We all grant this. The power, nevertheless, sought by all the socialists and quasi-socialists making goo-goo eyes at the voters, just plain isn't consonant with life in a land of liberty. Which this land of ours may still be -- campaign talk to the contrary. William Murchison is writing a book on American moral restoration in the 21st century. His latest book is "The Cost of Liberty: The Life of John Dickinson."